The nature of farming in Cheshire County has changed immeasurably over the past three centuries. The transition from 18th century subsistence farms to organic farming and specialization in the 21st century is a fascinating story of hard work, geography, technology, and economics. 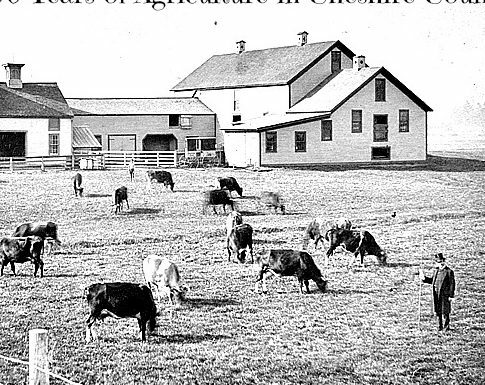 Twenty slides in this online exhibit present a history of agriculture in Cheshire County, New Hampshire from pre-colonial days into the 21st century. In the Far Pasture is based on an onsite exhibit at the Historical Society of Cheshire County in 2017.